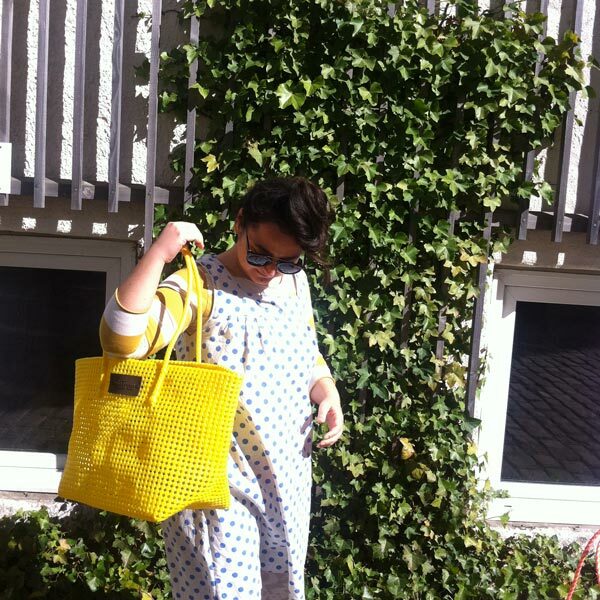 View basket “Totebag: BLOX (2nd quality)” has been added to your basket. 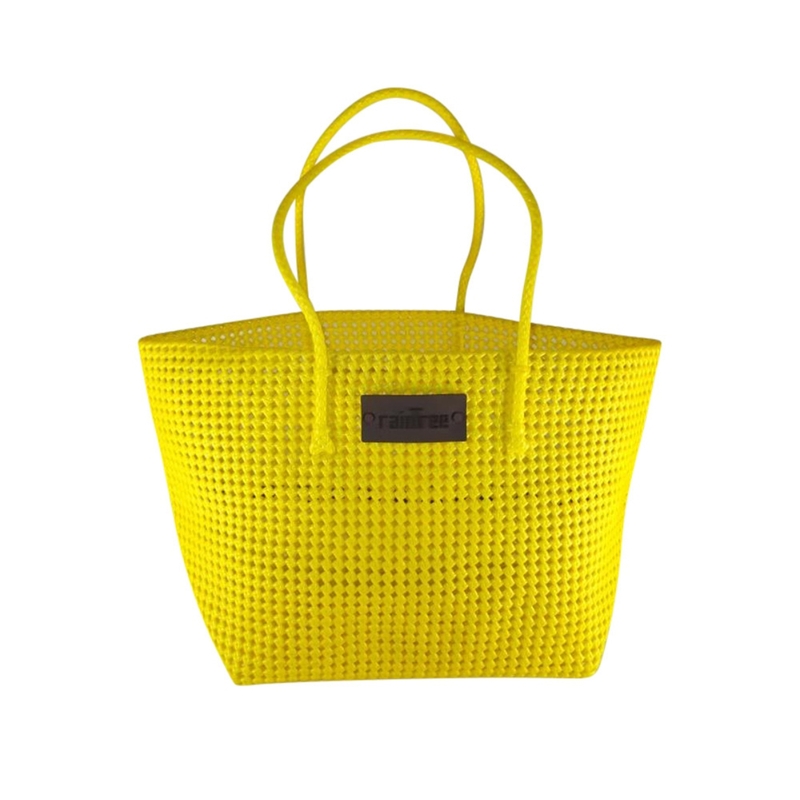 The bags are handwoven using plastic wire, which is made ​​of recycled polyethylene drinking bottles. In production of one bag, recycled plastic wire equal to 40 plastic drinking bottles is used. Thus, the bags are not only sustainable in its own being but contributes to the environmental protection by reducing the amount of plastic trash ending up in the oceans. More information and the product details are below. Check it out! 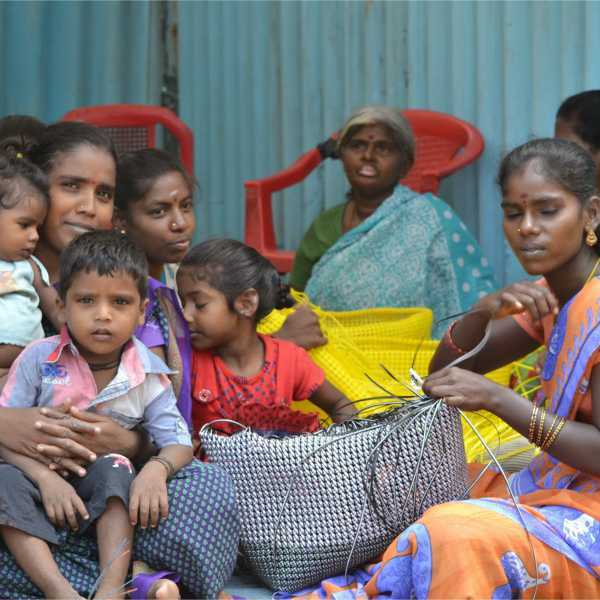 Fair Trade project RainTree works with disadvantaged women in slum of Chennai, India. 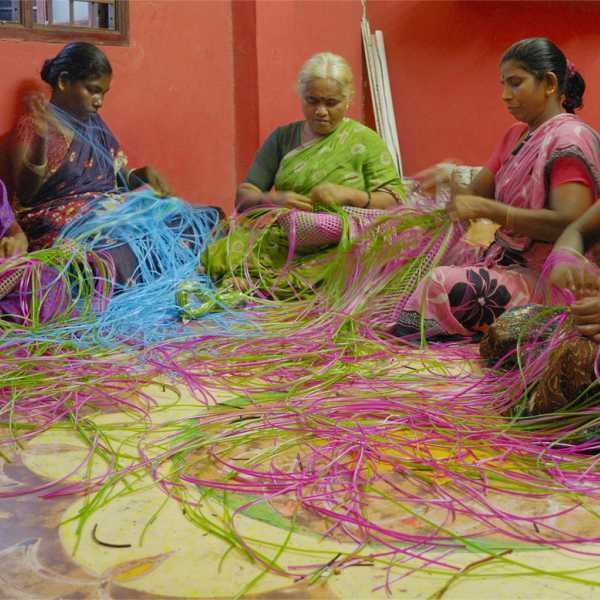 The bags are handmade by these women. They are widows, deserted mothers and/or physically challenged. The money provided by these bags are crucial for them in terms of providing themselves and their children medical care, education, and other basic human needs. The RainTree bags are extremely durable and strong due to the material choice and weaving technique. They are perfect as shopping bags, beach and picnic bags, diaper bags, and even to carry small dogs.